Our Sponsors and Patrons this year. Ms. Ann Hasper – Teacher development specialist & CELTA trainer U.A.E. There are 2-day packages for both the pre-conference courses on Friday and the general workshops on Saturday. 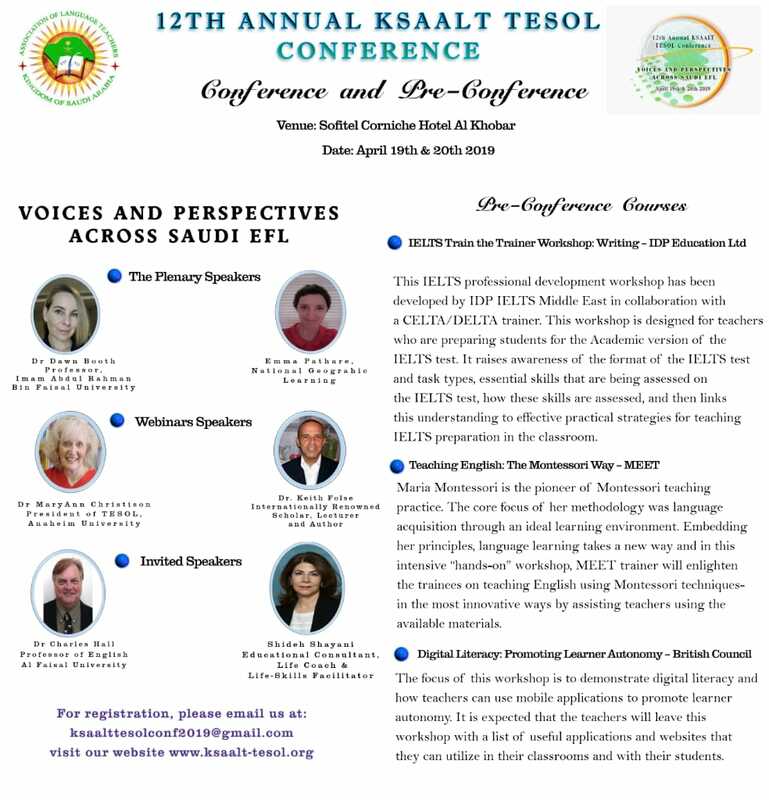 Please find attached the registration form,bios, flyer, and abstracts about the conference. For anyone traveling outside of Khobar or Dammam and needs hotel accommodations, please see below for details.